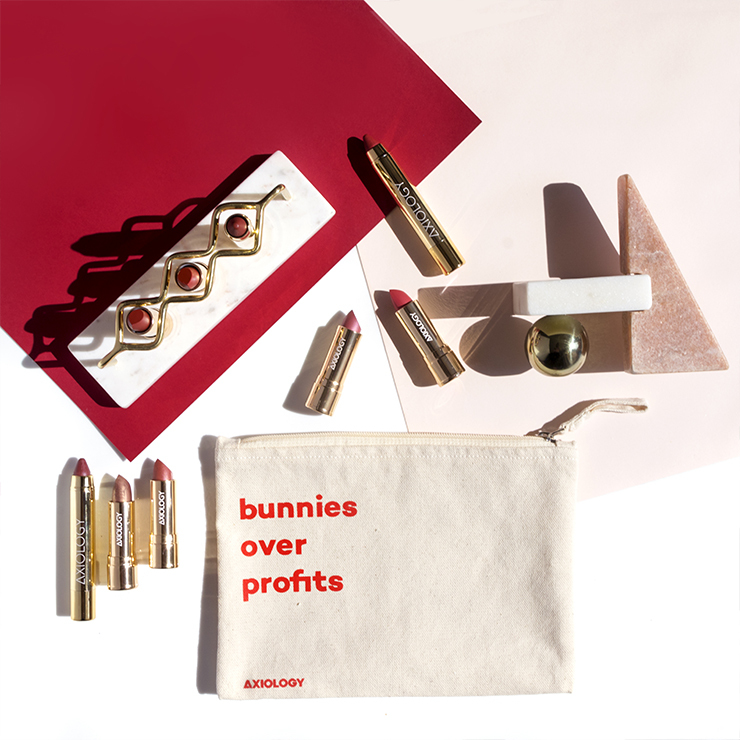 The world according to Axiology: makeup should look good, feel good, be good and do good. This month’s Limited Edition Makeup Discovery proves that clean and color can live in stunning harmony. 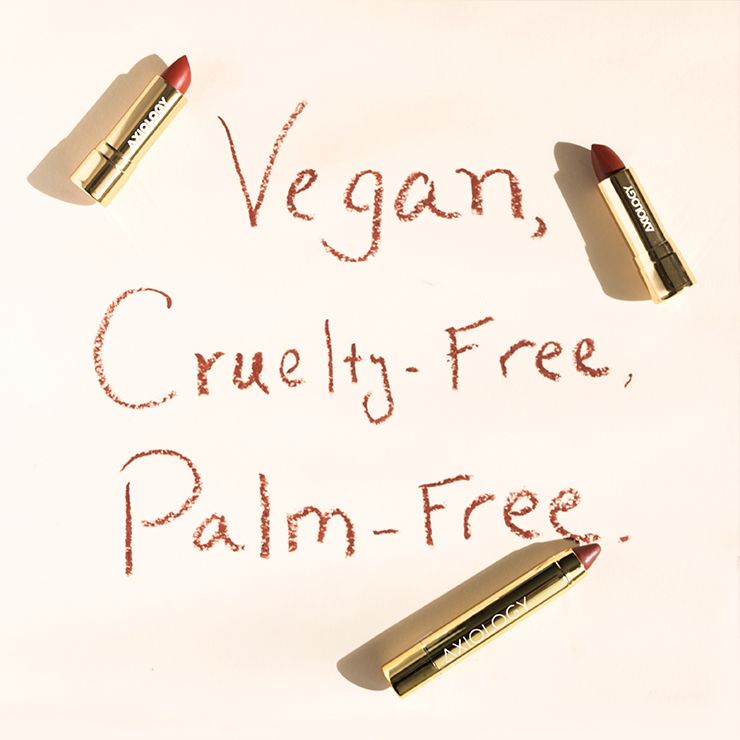 The cleanest lipstick on the market features fresh colors, bold new packaging and long lasting color that is vegan, cruelty-free and ethically sourced. Each collection features a mix of sheer balms offering a light wash of color, soft creams with medium pigment and opaque creams with rich color payoff. Crayons can be used under lipsticks for a layered effect or on top for a semi-matte finish. Each chic tube contains nourishing butters and oils, delivered in a fresh, 100% hand-cycled paper box made in Bali. 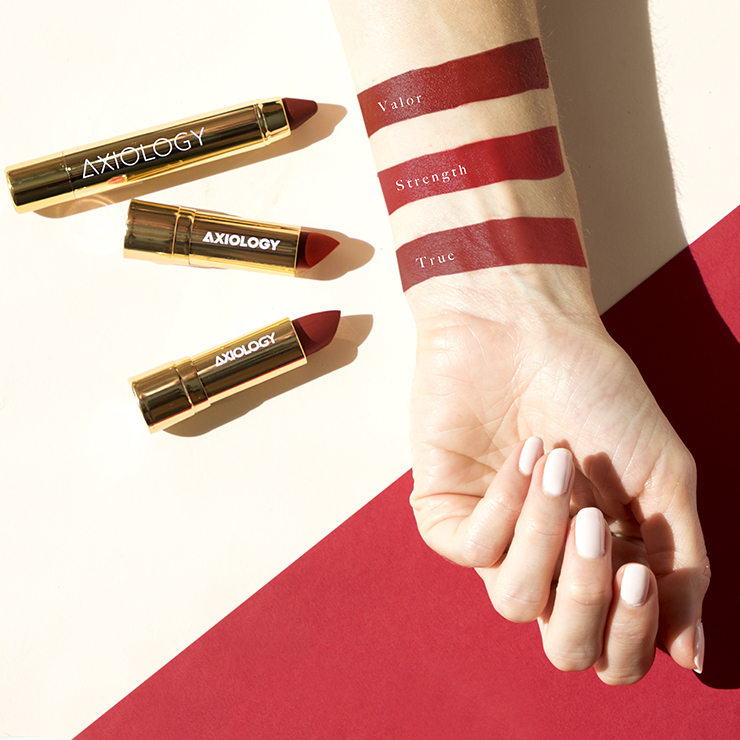 Go bold and create a semi-matte base with Valor, saturating lips with the buttery soft crayon. Keep it creamy with a layer or two of True, and add a sheer bright cherry sheen with a double layer of Strength. Burst bright with the orangey-pink base with the super moisturizing semi-matte crayon of Vibration. 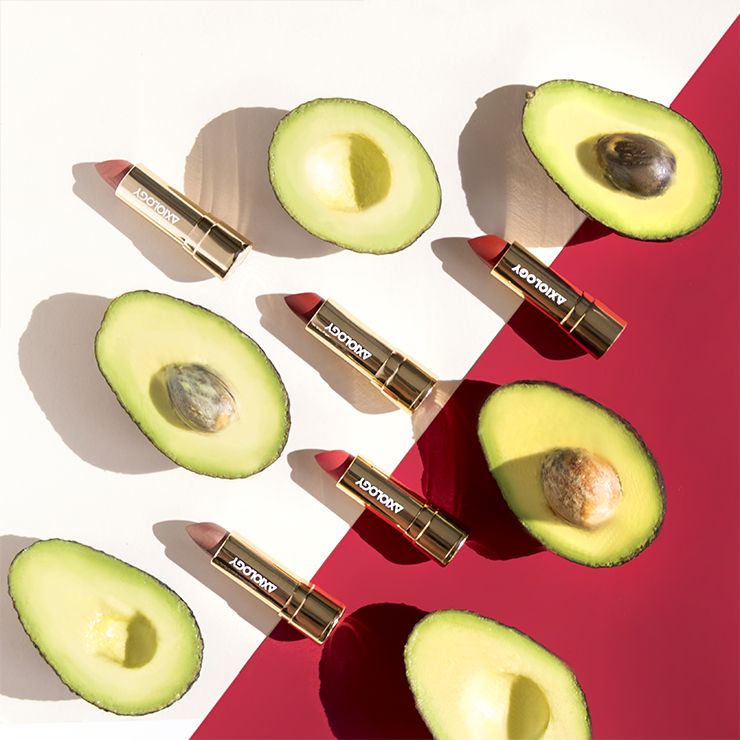 A swipe of creamy, rich Bonafide smack dab in the center your pucker will give the illusion of fuller lips. For a delicate dusty rose vibe in a flawless shade of soft pink, opt for two layers of soft, creamy Loyalty. 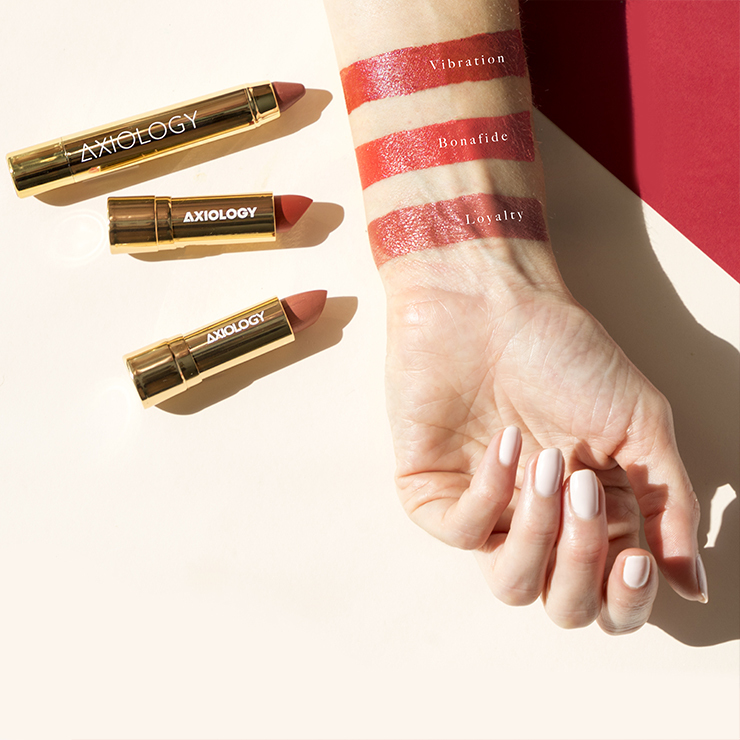 Mattify lips in rose-inspired Enduring crayon, and follow with balmy Spirit for a dab of daytime drama or Devotion for a creamy, coppery effect come evening.